A peaceful place to kick back and relax. 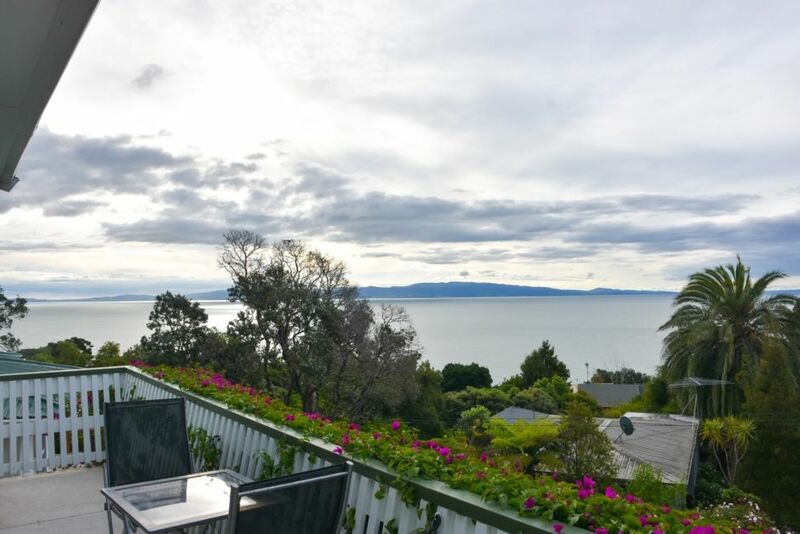 Close to Thames (9kms) and only 2 min from Te Puru which has a dairy and takeaways. Great outdoor entertaining space with a 6burner BBQ to cook up a feast, surrounded by native bush. Sit on our deck, and enjoy your morning tea or coffee. Or watch the sun go down with a beer or wine. Or even just lie in bed and open the curtains to take it all in. Please be aware section is not fenced so children will need to be supervised at all times. We purchased this property because we were looking for a property to escape to for our holidays. Once we walked into the lounge we had fallen in love. I didn't stay at the property myself as I booked it on behalf of a client, however I found Alana to be incredibly helpful, she made the booking process super easy. Would book this property again. What a great spot to wake each morning. Takes your breath away. Great little bach, perfect for 4. We didn't like or use the downstairs bedroom, attached to the garage. Great spot, amazing view, nice and quiet and safe off the main road. I mentioned to the owner before we stayed that we were fuss pots with regard to cleanliness and it was clean, with fresh flowers on the table too ! Traditional bach style accommodation with an amazing view. The view from this place is amazing! We appreciated having such a nice place to spend Christmas. The two bedrooms in the house are nice, but the third bedroom in the garage wasn't comfortable enough to use for our stay - it had a bit of a musty/chemical smell. We tidied with the cleaning products available, but the place could use a good dust down and a mop. Was ok but the house was full of dust we had to clean it up first before we could even use anything.